One of the best things that is often referred to when talking about study in France is the continuous hand holding by the faculty whether it is theory or practical that the students need to complete their education. In fact, it is well known that the French are adamant in proclaiming their passion about education. This can be attributed to the fact that the French education system has been known to produce the best there is and has attracted multitudes of students from all over the world whether it is engineers or military leaders. France has a generous splash of colleges that cater to educating the willing in all aspects of life from literature of the sciences. 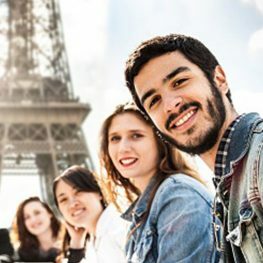 France has been known to proclaim that whatever is the location and position of a student entering France, they can get a wealth of information on study in France Opportunities to suit their needs and desires. France, as a nation, has an extremely distinctive image in our minds regarding its history and urban lifestyle. The country is widely loved by tourist for the spectacular scenery, world renowned heritage and extraordinary culinary skills. Apart from these well known aspects, France is also listed amongst the best cities to migrate for completing higher education. Following the legacy for education, France has a wide range of universities that spring from the thought of strong education system. Top universities in France offers a wide array of course for students to choose from. International students are always gladly received with a friendly and welcoming atmosphere. To encourage international students, the French embassy offers specially crafted scholarship programmes for all type of courses. Furthermore, The French Ministry of Foreign and European Affairs also launched Eiffel scholarships mainly for masters, engineering and PhD courses.